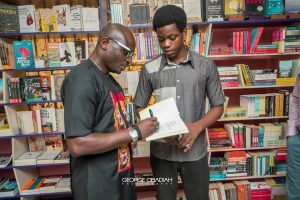 Parresia Blog | Micheal Afenfia Inspires Young Creatives. 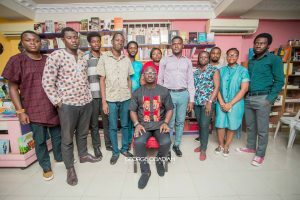 Micheal Afenfia Inspires Young Creatives. 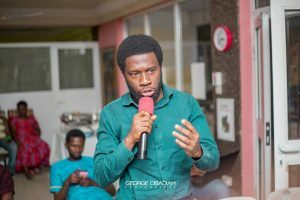 08 Mar Micheal Afenfia Inspires Young Creatives. 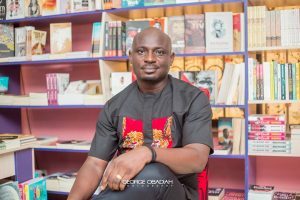 With three full length novels under his belt, and an ongoing internet series, Michael Afenfia has turned to helping younger writers and aspiring creatives to find their niche. 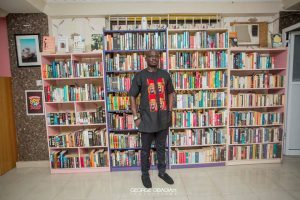 Saturday, March 3 2018 saw the author of Don’t Die On Wednesday and a group of young creatives descended on Page Book Connoisseurs, Ikeja, where they chatted about the creative writing process and what it means to engage the society in the age of social media. In answering questions, Michael explained his writing process as spontaneous. Many times, he said, he would sit down to write, and the story would have taken a life of its own. 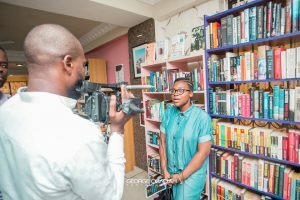 In fielding other questions, Afenfia opined that literature is useful as a tool for exploring quotidian realities. 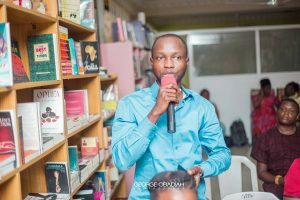 He also took the position that literature must contain a message, but the the craft of writing must be tailored to suit the means of society’s reception. 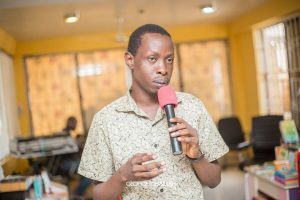 Therefore, he rejects the panic that accompanies the proliferation of electronic gadgets and the internet, saying that they have come to stay. All the participants in the program got to answer the question, what are you writing now? Finally, Michael urged the crowd of young creatives and the rest of the country t hype writers like they did hip-hop musicians. 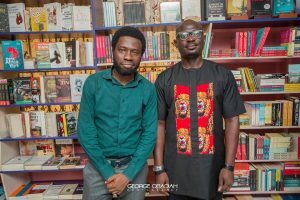 In this, Michael Afenfia is not alone; he joins the ranks of J.J. Bola, African-British poet and author of Nowhere To Call Home in the call to respect writers. 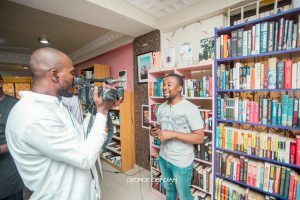 The program, which is the first of a three leg series, ended with food, pictures and networking.